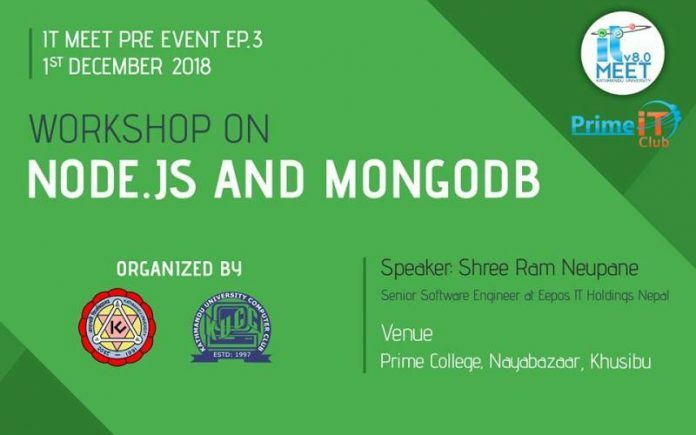 IT MEET has grown into one of the premier IT Events in Nepal, offering a unique opportunity for students to express their talents and to make themselves aware of the current IT trends in Nepal. It is also an excellent platform for the IT companies to find the students that will be working in the same field in the future. It grows bigger and expands each year, approximately attracting a 10,000 strong audience. This year IT MEET v8.0 is going to take place over a 2-day weekend in late December with the theme “Digitalize-Innovate-Lead”. 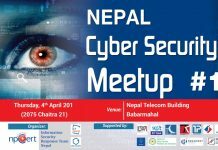 As a promotion of IT MEET v8.0, we will be organizing a series of pre-events on IT Colleges in Kathmandu. The pre-events include a workshop on some of the hot topics on IT including Node.js and MongoDB. 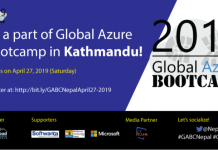 Speaker will be Shree Ram Neupane. He is Senior Software Engineer at Eepos IT Holdings Nepal.